Happy Publication Day to this fabulous new book from Lynda Stacey! This is a follow on from House of Secrets (which I loved!) and is just as wonderful, if not just a little darker!! If you are looking for a light, fluffy Christmas story then this is not the book for you! But if you are looking for a fascinating mix of drama and family secrets set amidst the backdrop of another Christmas at Wrea Head Hotel, then you need this book in your life! After the fire that hit the hotel, Jess is looking forward to a new start at the refurbished hotel and hopes to put the past behind her and her family. 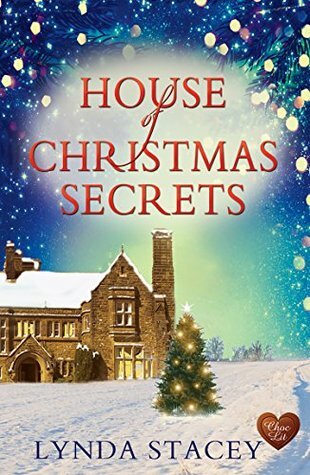 Jess has her wedding to Jack to look forward to and plan but another twist of events sees those plans put to the back of her mind as family secrets and the past threaten to change all their lives again. We also follow the story of Bastion and his daughter Lily who are sleeping rough after an extremely bad spell in their lives. They are looking to find some happiness and stability and that leads them to Wrea Head Hotel, but their past is never far from them and still threatens their safety. Their story is quite tough to read about with some very sinister characters around and really adds to the darkness of this novel. If you can't trust your own family, then who can you trust? I loved how the different threads throughout entangle, and the letters from the past that Emily, the beloved long lost grandmother of Bandit, who they all took to their hearts, leaves behind also opens up emotional and touching times ahead for them all as they go in search of the truth and wonder why so many family secrets were never spoken of. The powerful bond of family is high throughout this book and you can't help but get emotionally attached to the characters as they face difficult challenges throughout. There are a lot of twists and turns in this book and that keeps you turning the pages as quick as you can to find out more, and I just loved the pace it was set and it was an exhilarating read throughout! More please!! Thank you to the author and publisher for the advanced e-copy in return for a fair and honest review.